Three astronauts are doing a space walk on the exterior of a satellite orbiting the earth, but when a debris storm damages their craft they are sent adrift in space. The most noticeably and completely brilliant thing about Gravity is the bar-raising effects. Good weightless effects have been achieved before, using a combination of techniques, but never before has such a completely seamless space setting been realised on screen. Its nearest rivals are 2001 and Apollo 13, but Gravity is light years beyond these. It has long camera shots which begin at great distance before zooming right in to a character’s face, tracking them as they revolve through space then panning off somewhere else, without a cut. It truly is a remarkable spectacle, which will leave you wondering how they did it, a rare achievement in modern films. If it’s all CGI it’s some of the best CGI ever rendered, and perfectly blended with the live action of the actors’ faces. However they did it, it perfectly encapsulates the infinite loneliness and isolation of space like never before. As I mentioned in my recent blog post on the topic, film makers have typically shied away from realistic depictions of zero gravity environments. In Star Wars, for example, you’ll notice all the space battles have an “up” and “down” direction, to help us make sense of what’s going on. Gravity sees space not as a hindrance but as an amazing new possibility, and jumps head first into some of the most acrobatic camera work ever put in a movie. The 3D here is used incredibly. Space, like underwater, is interesting to film in because movement is possible in all directions in a way that isn’t possible under normal conditions, and 3D is a brilliant way of showing that, as the extra dimension of our visual experiences mirrors the additional depth of movement in of the setting. In terms of content, it feels much like previous survival movies such as Touching the Void, with characters struggling against their harsh surroundings. With the entire film set in space, there’s no build up to the mission, so we have little background on why they’re there in the first place. It’s also hardly elaborated on during the course of the film, meaning we never learn much about the characters or what they’re trying to do. With its heavy focus on the visuals and symbolism it neglects explanation in the process. 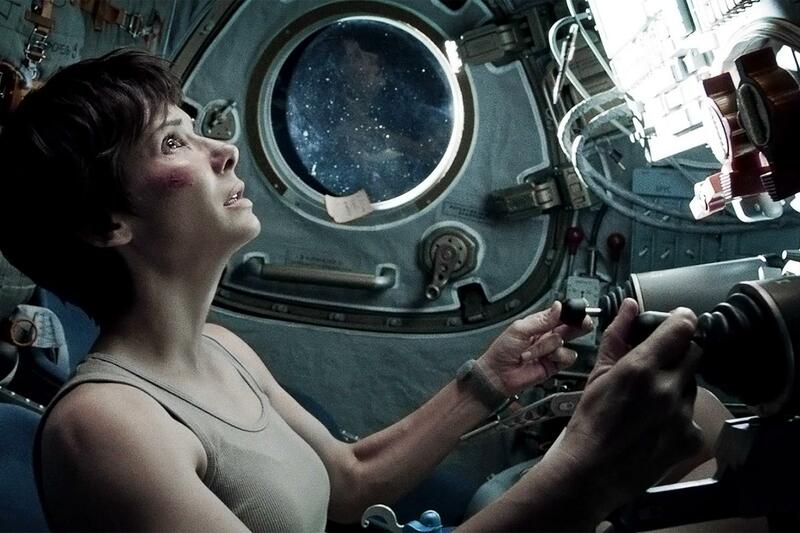 Sandra Bullock gives an excellent performance, and deals well with the challenges posed by the film. Its tight focus and small number of characters make it a tense ride, but it’s the effects that are the real star, that dazzle from beginning to end. 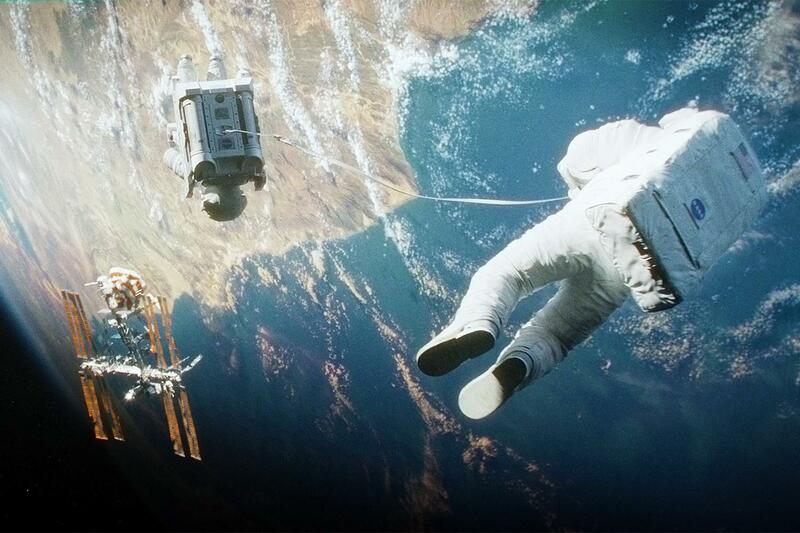 Many films are set in space, but few truly explore it in the way Gravity does. With the technical accomplishment here, can sci fi continue to ignore weightlessness in the way it has?